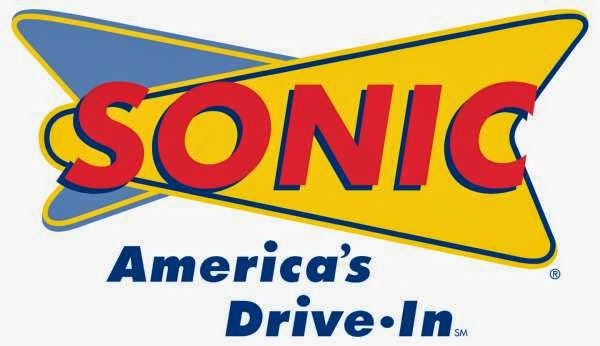 For some of you who are not familiar with SONIC Drive-In, it is a fast food chain known for their drive-in layout and their servers bring your order to your car on roller skates. Right now SONIC is celebrating their Summer of Shakes with 25 unique shake flavors. Each made with real ice-cream hand-mix into a thick, cold, creamy shake. So, when SONIC asked me to do a review on their milkshakes, I was very excited! So, last weekend my husband and I brought the kids to go try some of their milkshakes. As I looked over the menu of their 25 yummy different flavored milkshakes, I will admit, I was slightly overwhelmed, but in a good way...Lol! One flavor I found really interesting was the Peanut Butter & Bacon... But, I was to chicken to try that one...hehehe! 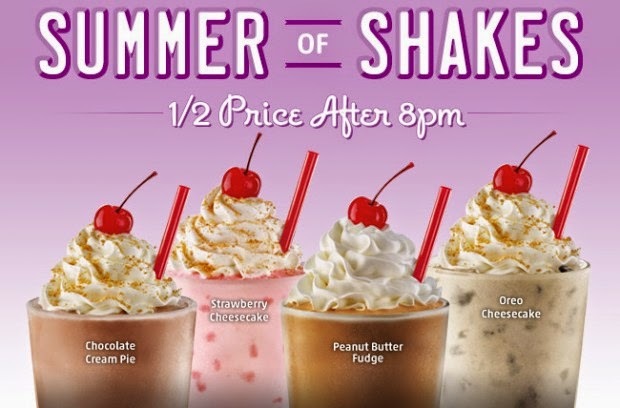 Although there were many worthy opponents, I ended up ordering the OREO Cheesecake Shake, my husband ordered the Banana Cream Pie Shake and my older son ordered the Strawberry Shake. They all looked so good, I just had to try a bit of each of them! The Oreo Cheesecake Shake is seriously sweet, a little to sweet for my taste, but still good. It had the creamy flavor of cheesecake and my favorite part was the bits of graham cracker crumbs and real Oreo pieces in it. If you have a sweet tooth, then this is the shake for you. The Strawberry Shake was very smooth, sweet and refreshing. I really loved the bits of real strawberries in it... Can't go wrong with a great classic flavor! The Banana Cream Pie Shake was probably my favorite, it taste just like a banana cream pie! A creamy banana shake with crushed graham crackers... Yummy!! Plus, the best part was every milkshake comes topped with whip cream and a cherry. And, don't forget that SONIC offers half priced shakes after 8 p.m. all summer long so it's an affordable treat for the entire family. 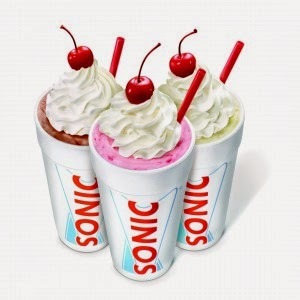 For a complete list of all SONIC milkshake flavors, click here. Disclosure: I was not financially compensated for this post. I received a sample of the product for review purposes. The opinions are my own and based on my personal experience with the product.